“Find yourself on this map,” Caterina Fake said enthusiastically. Fake, widely known as the co-founder of Flickr, had just greeted me into the Findery office, an airy loft tucked inside a nondescript building in the Hayes Valley district of San Francisco. Before I could take in the high ceilings and the afternoon light shining through a black pirate flag hanging from a railing, Fake directed my attention to what looked like a large, 16 x 20 framed portrait of a galaxy. It was neither a galaxy, nor a map. Instead, it was a graphical depiction of what the Flickr community looked like in April 2005. Created by an avid Flickr user who goes by the name of GustavoG, the image showed hundreds of photo avatars linked to each other with blue lines indicating social connections. After pointing out where she was on the graph, I found my own Flickr avatar in just a few minutes. We were only a few connections away. “That cluster [the one my photo was in] represents all the early web people,” Fake said, as if we were old friends. It’s been nearly six years since she left Yahoo-owned Flickr for greener pastures. A year later in 2009, she co-founded a startup called Hunch that promised to help users make better decisions based on a survey of their tastes and interests. Hunch eventually sold to eBay in 2011. Not one to stand still, Fake came up with yet another startup in 2012. She called it Pinwheel, but after a testy trademark dispute, it was renamed to Findery. Findery, to put it simply, is an app that helps you find what’s interesting around you, but not in the traditional way of restaurant recommendations or trendy nightspots. Instead, Findery is about uncovering hidden secrets and local knowledge, all of which is entirely sourced from Findery users themselves. So instead of using the app to locate the nearest sushi spot, you’d use it to find out the meaning behind an unusual statue or the history behind that run-down building down the street from your hotel. Instead, Findery is about people and stories. It’s what Fake says has always mattered to longtime bloggers and those aforementioned “early web people” who were so crucial to Flickr’s success. The tips on Findery are the type you’d expect from a real person, rather than a disembodied tour guide. It’s much more personal, and therefore a lot more human. Fake describes Findery as somewhere in the continuum between Yelp and Wikipedia. To do all that, Findery needed a large database of user-generated content. That’s the reason it was initially launched on the web — its developers wanted to make sure there was enough content all over the world from real users before apps were rolled out. It was only this year that the company released them — an iOS app debuted earlier this spring, while an Android one launched just last Thursday. As I zoomed in and out of different parts of the Findery map, I noticed that some notes on the app tend toward the recommendation model (“This place has whiskey on tap!”), while others are more personal and unique. Fake showed me an intriguing photo of a crew setting up a fireworks display in Orlando, Florida. Underneath the photo was a note entitled “Monsters of Rock” that read: “On April 14th, 1979, Aerosmith, Blackfoot, Cheap Trick and Ted Nugent played at the Tangerine Bowl. I was on the fireworks crew and took this photo during setup.” In the comments of that photo, the author recounted enjoying the show next to none other than Nugent himself. To surface the more interesting notes — Findery gets its fair share of spam — it uses an internal algorithm called “notability.” Sort of like the “interestingness” metric on Flickr, Findery’s algorithm figures out a note’s importance based on a variety of factors, including if it’s been blogged, if it’s received a lot of clicks, if the user has a good reputation and so forth. While Findery doesn’t see Yelp and Foursquare as competitors, it does have one in Field Trip, Google’s point-of-interest app that does nearly the same thing. However, instead of relying on users to generate content, Field Trip uses information from guides like Thrillist, Zagat and local blogs. “I’ve always felt that it was really important for things to be written for the platform for which they are intended,” said Fake, pointing out that seeing a Thrillist or Zagat post pop up when you’re in a foreign locale can be a little jarring, while a more human note can feel more welcoming. Additionally, Field Trip doesn’t have the personal voice that Findery has, which she sees as a real asset. “We were being accused of being a hipster app,” laughed Fake, remembering early reviews of the app. 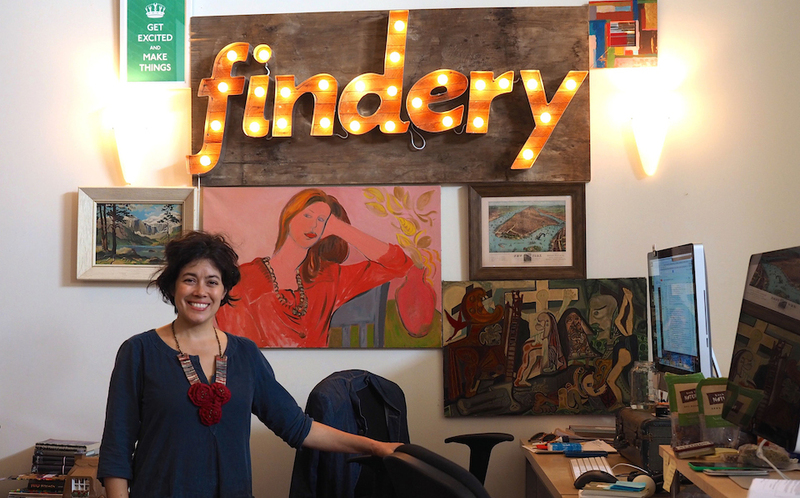 “Someone had opened it up in the Mission [San Francisco’s current hipster haven] … Well of course you’d see that!” But, she said, plenty of regular people from all over the world use Findery too. Still, there remains a question of whether something as personal as this is what everyone wants. The popularity of Yelp and Foursquare attests to the generally accepted idea that people do want straightforward recommendations. Even Fake herself said that a lot of first-time users to Findery tend to review restaurants because people have just been trained to do that. But Fake believes that there’s room for something different. 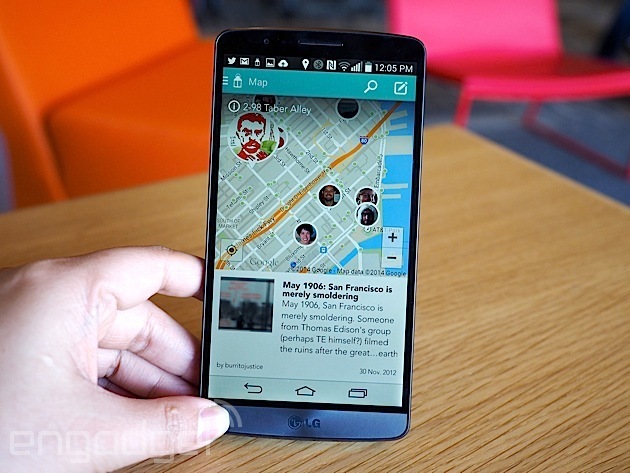 It’s been a few days since the launch of Findery’s Android app, and Fake tells us it’s doing well. “We feel that we’re in a really good space, that we’re forward-looking and not backward-looking,” said Fake. She added, “Screens are multiplying and they’re moving,” referring to Google Glass and the recent interest in wearables. Fake said the team is definitely looking into making some kind of watch-compatible app, be it for Android Wear or Apple’s WatchKit — it’s a natural fit for something like Findery. 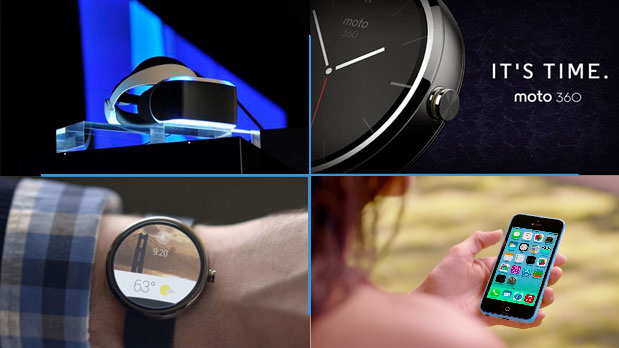 Daily Roundup: Android Wear, the Moto 360 smartwatch, Sony’s ‘Project Morpheus and more! You might say the day is never really done in consumer technology new. Your workday, however, hopefully draws to a close at some point. This is the Daily Roundup on AkibaTech provided by @DSM_Corp, a quick peek back at the top headlines for the past 24 hours — all handpicked by the editors here at the site. Click on through the break, and enjoy. Earlier Yesterday, Google unveiled Android Wear: a Nexus-like platform designed to power wearables, featuring contextual updates similar to Now and the same always-listening feature found on the Moto X. This mobile OS will focus on the smartwatch form factor for now, but Google says that’s just the beginning. It looks like the rumors were true. An 8GB version of Apple’s iPhone 5c is available from several European carriers on multi-year contracts. And though the colorful handset has also arrived for Australia and China via Apple’s online store, we’ve yet to hear word of US availability. Motorola’s new wearable, the Moto 360, takes smartwatch form factor back in time (har), boasting a seriously eye-catching design and circular watchface. Powered by Google’s Android Wear, owners can utilize the power of Now from their wrists. What’s more, this isn’t the Moto 360’s only design. It’ll come in a variety of styles once it launches this summer. Sony’s officially jumping into the VR realm with “Project Morpheus.” Now just a prototype, the two-part headset has a 1080p display and packs a 90-degree field of view. And though it’s still unclear how the device will work with consoles, the hardware you see above will double as a developer kit. Follow our coverage of the Technology World one by one only on our social media. And make sure to join us as we going to cover the Game Developers Conference 2014.